Since the launch in 2004 of the prestigious regional quality mark 'Flavour of the North” Lucullus has been proud to have this endorsement of the provenance and quality of our products. We believe very much in working together with other local producers to create a wider awareness of the distinct and wonderful ranges of food products produced in the North of France. We believe that through the promotion of the great range of food available in the North of France that we can help develop the economy of the region , help keep supply chains as short as possible and help also in local job creation. We believe that as a federation of local small companies working together we can share our savoir–faire , protect the historic provenance and traditions of the region and defend our values and maintain the high quality of food production of the the small producers in the region. 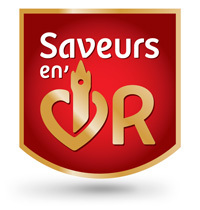 Saveur en’Or is built on a shared commitment to respect and maintain agreed rules on quality, hygiene, provenance and good business practice.In addition Each product that carries the Saveur en ‘Or is audited to ensure that local ingredients are used , whenever available, that traceability and quality audits are in place and in addition that the product has been approved by a panel of local consumers as meeting or surpassing their expectations. 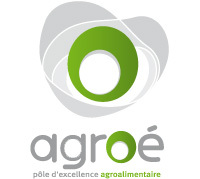 This centre of Excellence is an association whose purpose is to create a collective dynamic in the service of food companies in the Nord-pas-de-calais region. brings together over 600 independent enterprises to collaborate together at a national level in France with both a political and commercial voice. "Defend and promote this noble local product THE LUCULLUS OF VALENCIENNES"